Start your day with a delicious flavoursome pancake which is gluten, dairy and processed sugar free. Make a batch of mix up for the week and enjoy a breakfast which is quick to prepare, colourful and very tasty. Easily adapt this recipe to suit your own tastes and to provide variation to your diet. 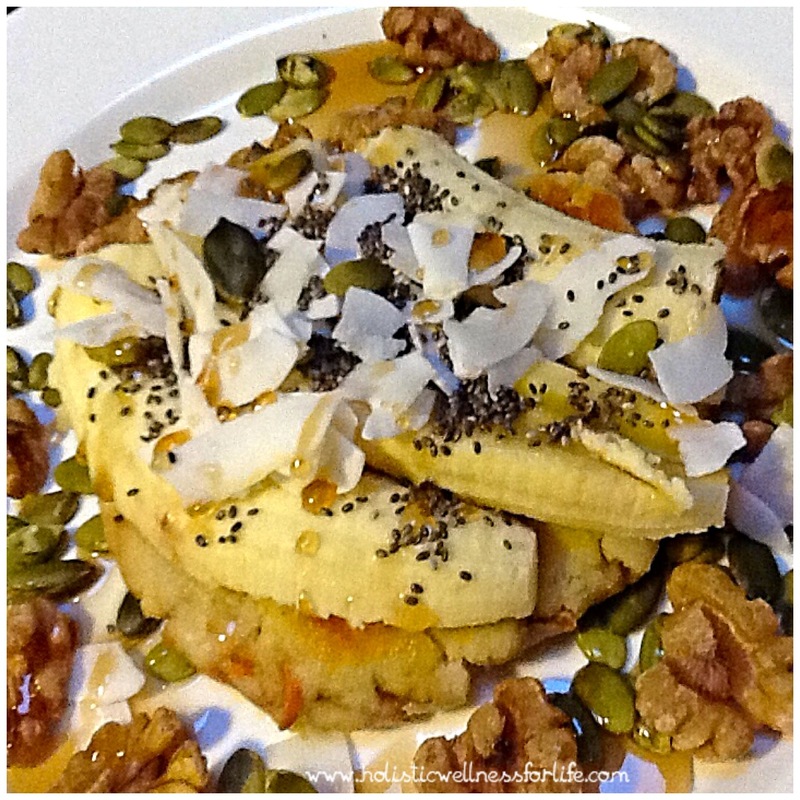 Top the pancake with your favourite fruit, seeds, nuts, coconut flakes and some maple syrup. 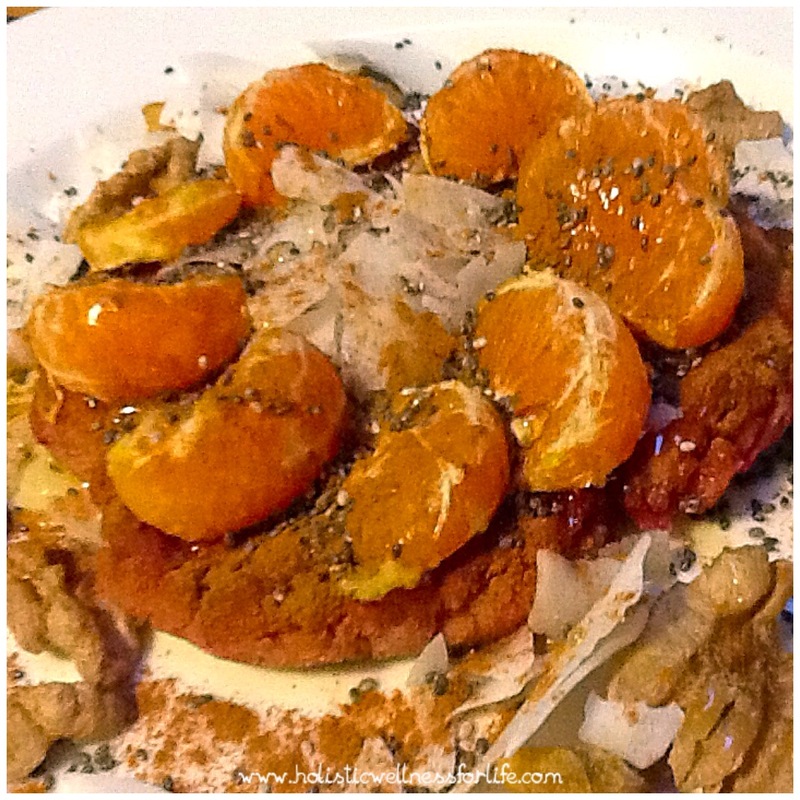 This pancake features seasonal mandarin with cinnamon. 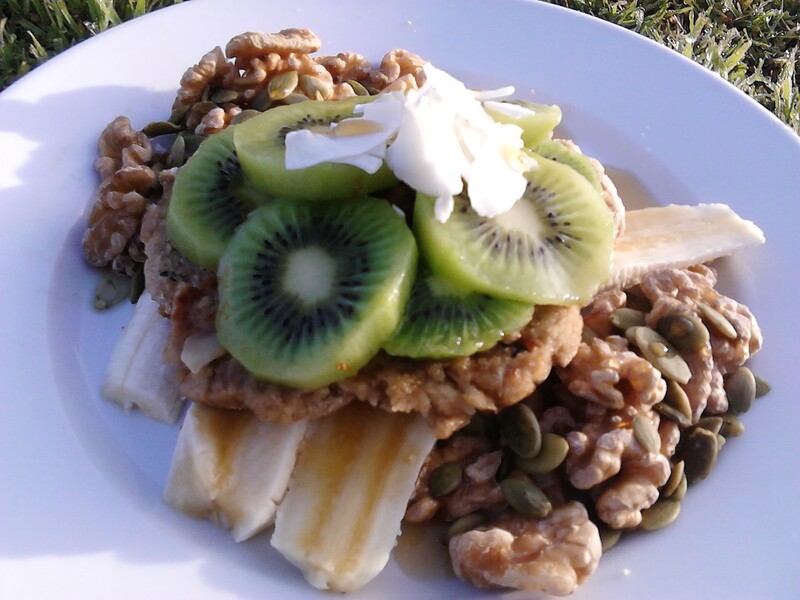 Some lovely kiwi fruit and banana add an interesting element to this pancake. Basic Recipe: This is the basic recipe that you can make at the start of the week. 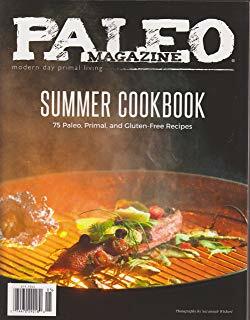 Additions to the basic recipe: Add different flavours to your mix by adding grated beetroot, grated sweet potato, grated carrot, cinnamon, chia seeds, apple, flaked almonds or coconut flakes as examples. Method: This is a small pancake so once you have made your dough you just need to an amount to form a small ball which you can then flatten in your hands before placing into a pan with some oil. I usually use olive oil or coconut oil. Just a small amount. Gently cook until golden then flip over. A guide to the size of the pancake is to make it just bigger than an egg ring when flat and then the toppings fill out the meal. Toppings: This is where you give your pancake a personality by adding fruit, nuts, seeds, coconut flakes and a natural sugar. I activate my nuts and seeds and keep them in tubs in the fridge and freezer so they are always on hand. This part of the meal preparation takes just a few minutes. I like to use either organic maple syrup or organic raw honey. They have a different flavour but ensure it is just a teaspoon. Such a quick meal to make and you can really make it look pretty and impress everyone with your skills. My new podcast has just launched and l would love you to subscribe and leave me a rating/review. 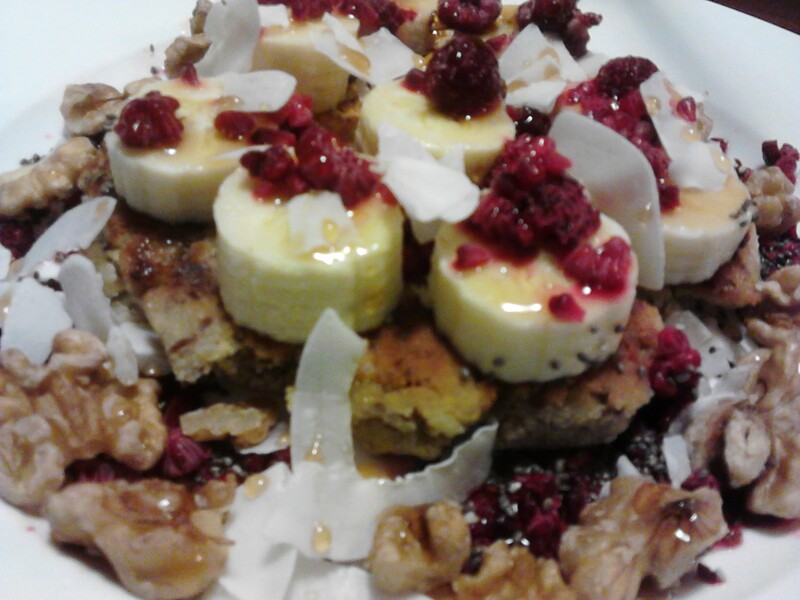 A magnificent beetroot and coconut pancake topped with seasonal mandarin.